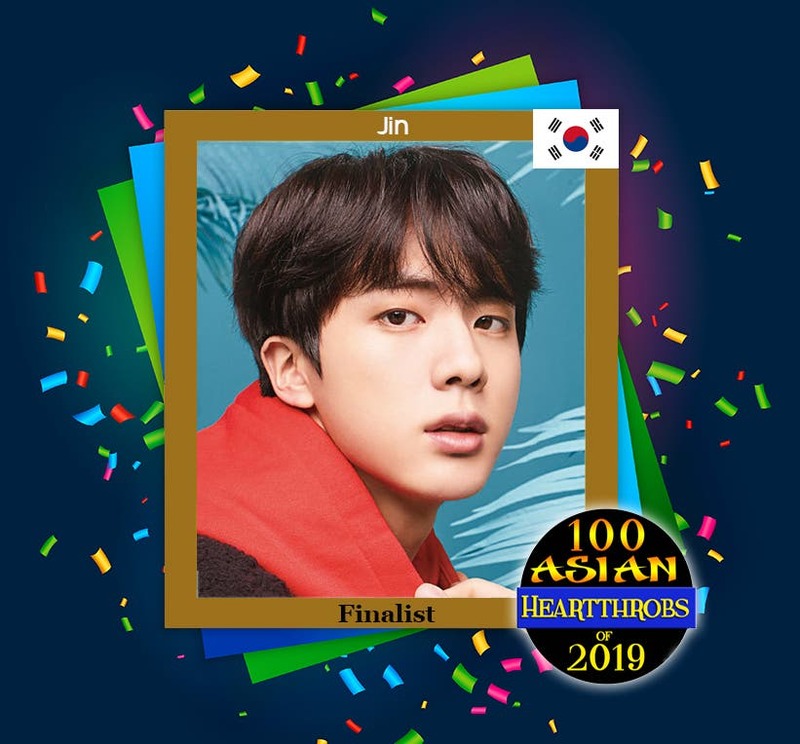 K-pop star Kim Seok-jin (popularly known by his stage name “Jin”) of South Korea emerged as the second finalist of “100 Asian Heartthrobs 2019” by winning the second group in the preliminaries. Placing second in Group 2 is Suradet Piniwat of Thailand who got 524,029 votes. 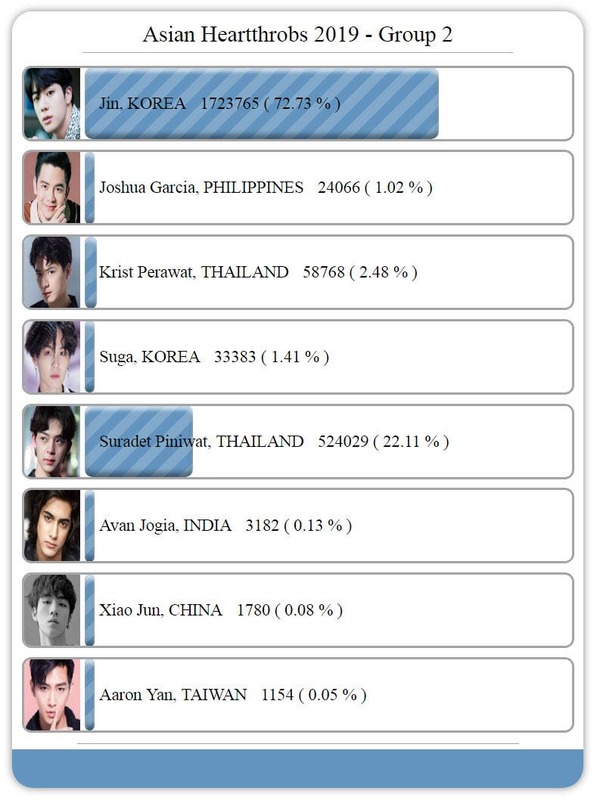 In third place is Krist Perawat of Thailand who received 58,768 votes. Both Suradet and Krist will compete in the first of the two wildcard rounds happening on January 25, 2019. 20 finalists will battle for the title this February, please stay tuned. 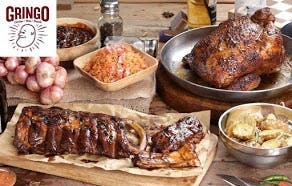 For now, vote for the nominees in Group 2 to 13 at www.starmopolls.com. Facebook Poll for the Finals of #100AsianHeartthrobs2019 Now Open!